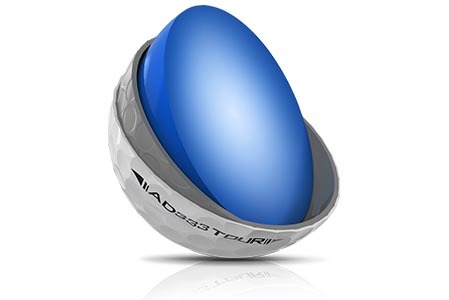 The new AD333 Tour is a premium, lower-compression, 3-piece golf ball with a urethane cover. 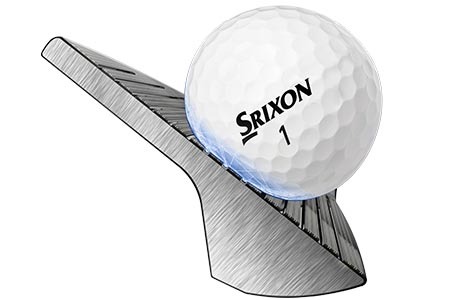 It is specifically designed for skilled golfers with moderate swing speeds who demand the performance and feel of a tour ball. 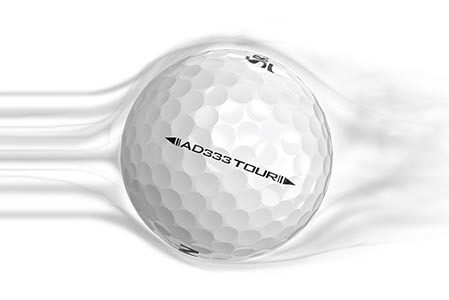 The lower compression of the AD333 Tour makes it easier to compress so more golfers can achieve optimal distance on full shots. 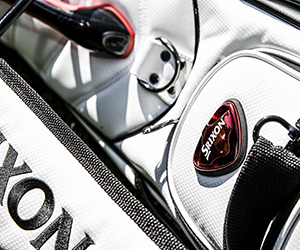 However, golfers will most appreciate the tremendous iron distance and the tour-caliber greenside spin control that the AD333 Tour delivers.